BRYAN EATON/Staff photo. 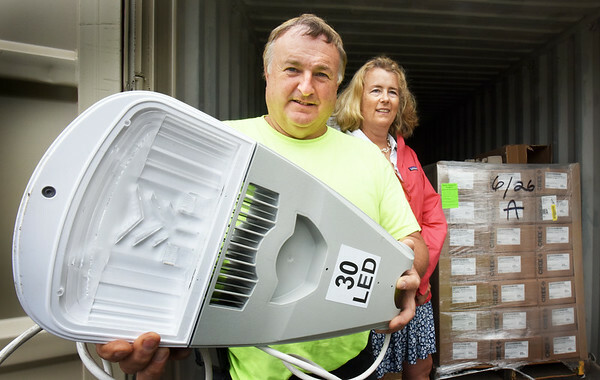 Newburyport city electrician David Zinck and energy manager Molly Ettenborough show off new LED street lamps which are much more energy efficient than the present lights. The 1,400 lights will start to be installed on Monday.